The beautiful pink and white nails are also known worldwide as French nails, or better to say French tips. This type of a manicure/nail is considered to be the most subtle and elegant one, and women all around the world love it. It can be done on your natural nails or on your fake acrylic tips. The only requirements are a base, white polish, and a top coat. Or if you are doing them the acrylic way you will also need an acrylic powder or gel. They are loved and adored worldwide, for starters. 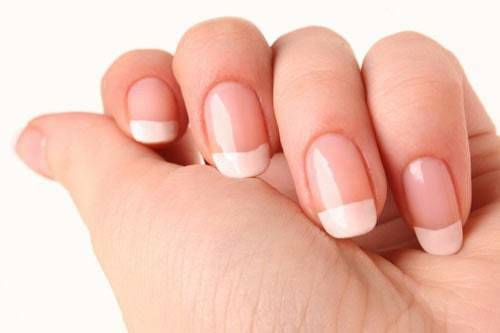 French manicure was a hit back in the ’30s, and it originated in Paris. However, some people are deliberating if this was a thing back then since some are claiming that the brand Max Factor named them ”French” for the first time ever in the ’90s. But does it really matter? The only thing that matters is that they are stunning and obviously a huge statement look. This type of a manicure doesn’t necessarily have to be pink and white. Nowadays, you can color them in any two shades you like. You mustn’t start doing your nails if you don’t have a clean base. So, wash your hands properly and remove any previous nail polish you have on with acetone. Push back your cuticles and buff the surface of the nails. If you do all of these right you will create a smooth and proper base for your upcoming nail tips. 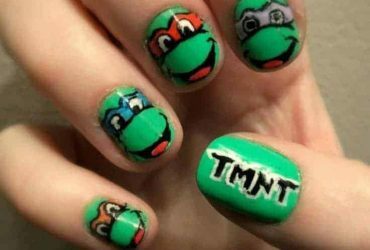 These nail forms may look a little scary if you are doing them on your own for the first time, but trust us, you will get the hang of them. As you can see there is a difference among these two, and it is up to you to decide what you are going to work with. Put the nail forms on top of your natural nails. They need to fit perfectly on top, as seen in the upper picture. If you apply them properly you will see how easy it actually is to do your pink and white nails on your own. 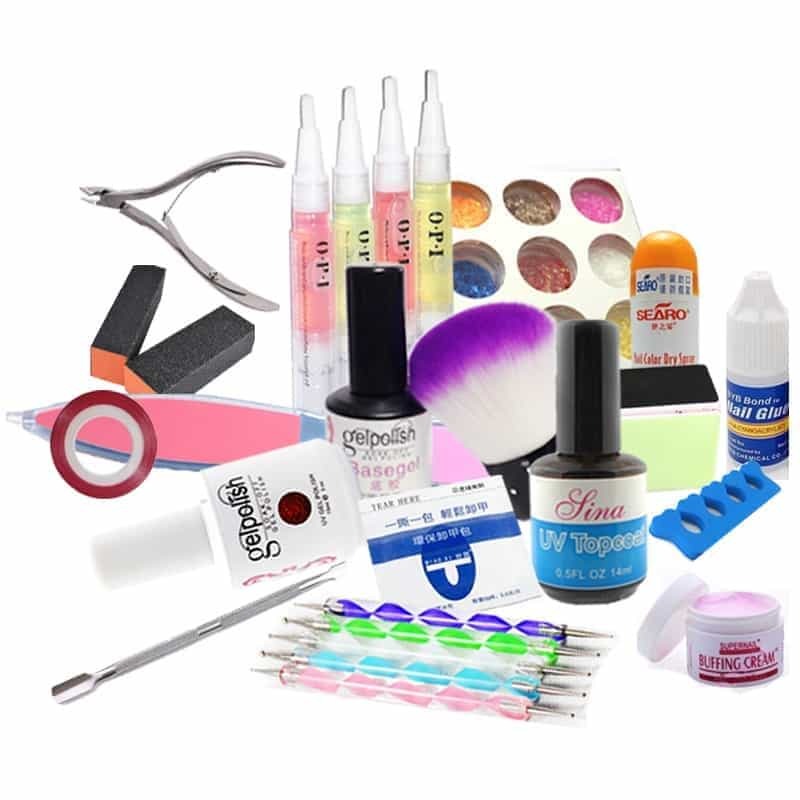 You will also have an adhesive that came along with these nails, and it will help you to set the nails into place. That is if you are working with the nail tips. You will have a blast when you come to this part in creating your pink and white nails. 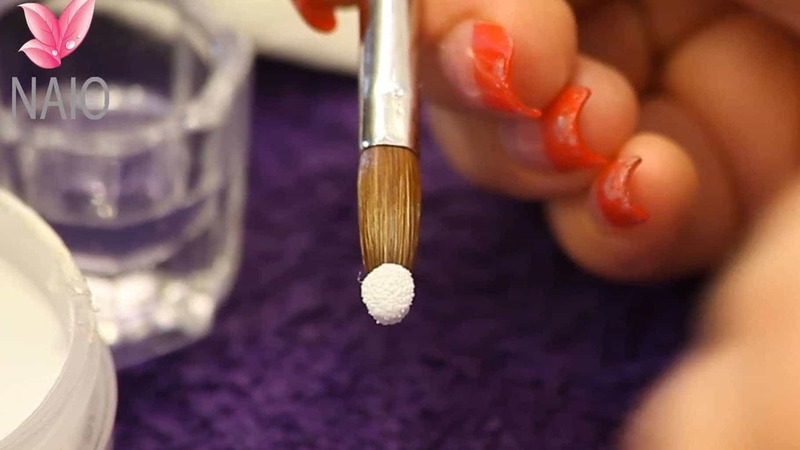 With your acrylic liquid mixture and powder create a small ball. Don’t stress out if you can’t get it right at your first try. Dip your brush in the liquid and then dip it in the powder. You should have a small white ball as seen in the upper picture. Now, you better work quickly with your powder. because the longer it is exposed to the air the faster it will dry. If it gets dry it is really hard and practically unusable. Place a small piece of an acrylic mixture at the beginning of your nails. The right way to move your brush and to work with your product is like in the picture above. It just depends if you are working on a nail tip or a nail form. Precise motion is the thing that matters the most at this point. Here is where you will be making pink and white nail parts. Use your acrylic liquid and a pink powder. Dip the brush as you did with the white powder, only this time use the pink one. Place that little ball at the beginning of your nails, that is wherever your natural skin color can peek through. Build up the color slowly but surely, making sure that the transition part isn’t visible. 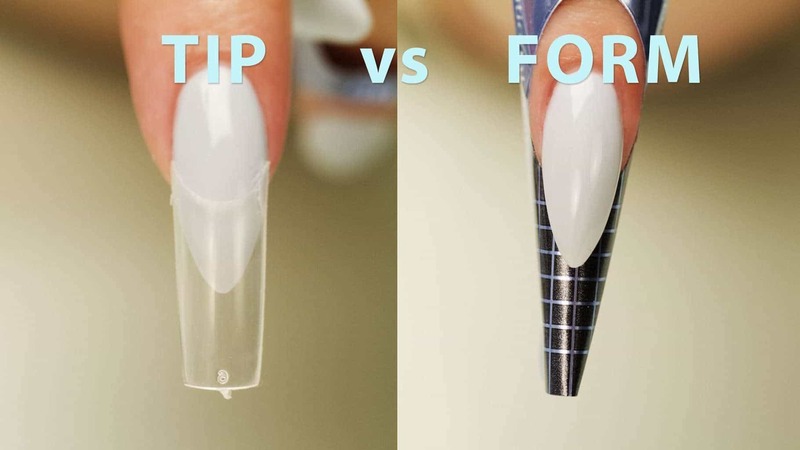 After you’ve created all of the white and pink nails; and they are completely dry, remove your nail form. Your nails can dry on their own, or with a help of the UV lamp, that is if you own one. Just slide each of these forms forward and you will have a fresh new nail that you’ve just made. Since you want all of your nails to look the same grab that file! 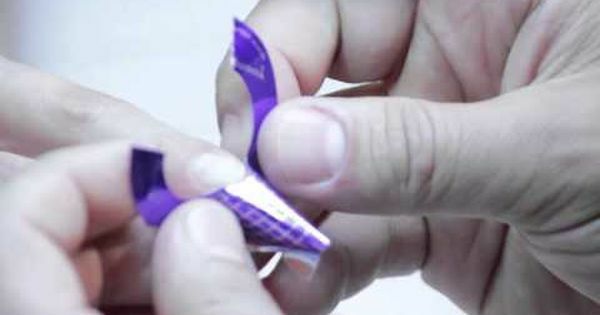 File the nail edges and make them per your beloved shape. Also always buff their surface, so you can get rid of the ugly transition of your natural nails and acrylics. You can apply a clear topcoat to your nails in the end if you like that extra gloss and shine. This will also protect them for the upcoming time period. Add 2 layers for a long-lasting manicure. Before jumping into the white and pink manicures, make sure to have healthy nails. 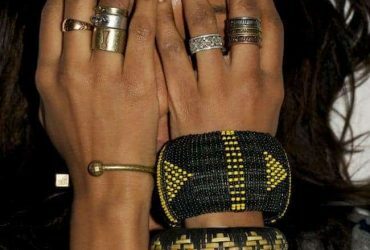 People who have dry and brittle nails may want to wait for a little longer before getting acrylics done. Let your natural nails breathe and chill from all the fake manicures. Some healthy oils, as well as hand creams, will help you in this healing process. You should do refills every two or three weeks because these nails require a regular upkeep and attention, so keep that in mind. You can do a refill on your own if you believe that you’ve mastered this skill. However, try not to go too long without a refill, because your natural nails will grow underneath and they will become uglier in time. 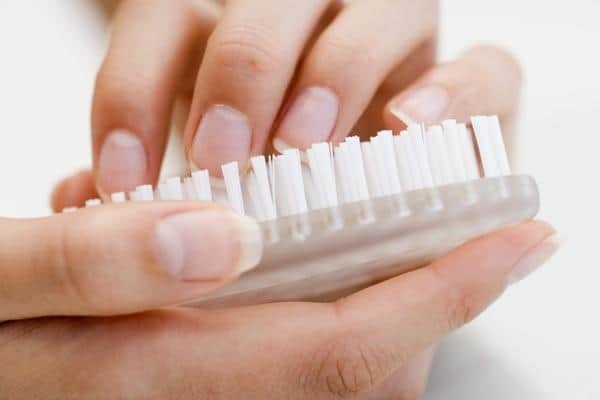 You can also clean the lower part of your nails with a thick brush. This will help because bacteria and dirt can get easily stuck under there. We think we’ve addressed this problem enough by now, but gloves are very important. If you are exposed to anything harsh or toxic you may want to hide your nails from it. 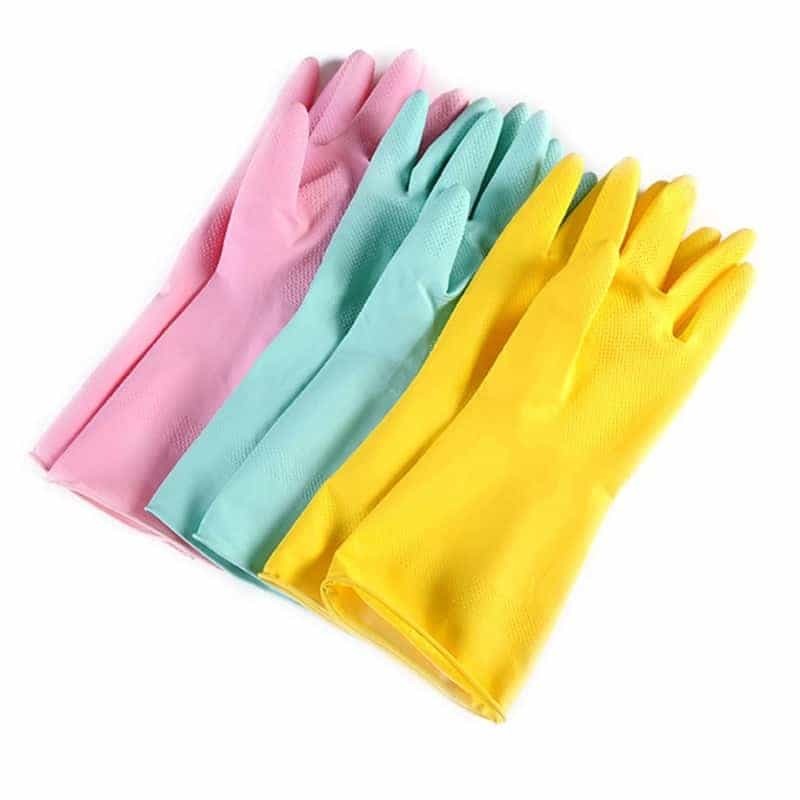 Just get any rubber or latex gloves and they will do the trick well. It is not that they are only protecting your natural nails, but you are also less likely to break any of your new acrylics. Pink and white nails, or French nails, are the most ladylike form you can go with. Always make sure to have a good nail technician who will do them to perfection; or if we’ve been convincing enough, try to do them yourself! Practice makes everything perfect, right?